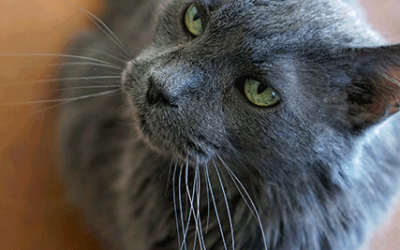 Tucson CARES takes on tough feline medical cases and advocates for animal rights. When Alexis Ormbsy found a sick, abandoned cat near the Tucson airport, she took him in, but he wasn’t eating. Every place she called for help suggested she take him to an animal shelter, where she knew he was likely to be put down. A plea for help on Facebook led her to Jessica Shuman, the founder and director of local nonprofit Tucson Companion Animal Rescue Education and Support, or Tucson CARES. Tucson CARES paid for a vet visit, a round of bloodwork, and the medication the cat needed. Shuman even sat with Ormbsy, who is afraid of needles, and showed her how to perform injections by practicing on Persian limes. Animal rescue just one part of what Tucson CARES does. 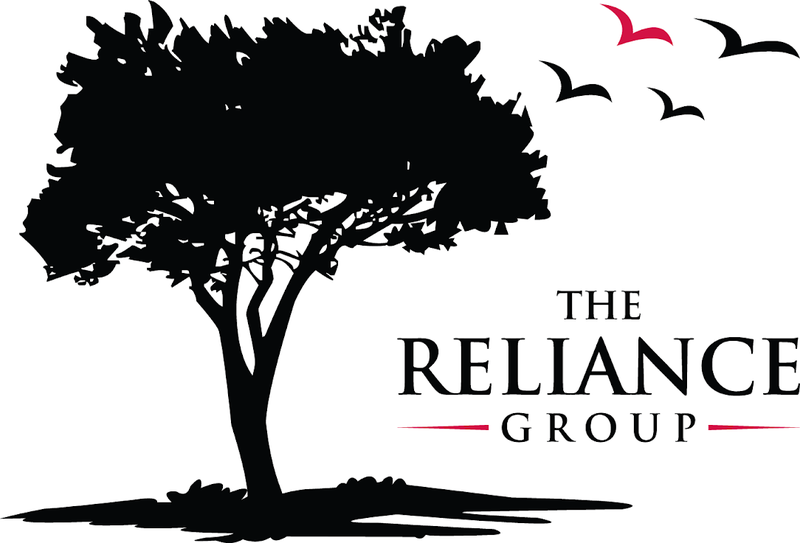 The volunteer-run group is also an animal welfare and advocacy organization. 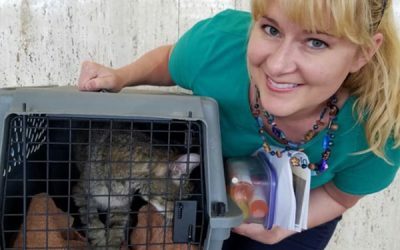 They are proponents and practitioners of trap neuter return (TNR), which helps manage feral cat populations; they once gathered a team of volunteers to TNR 82 cats over two days in a single mobile home park. 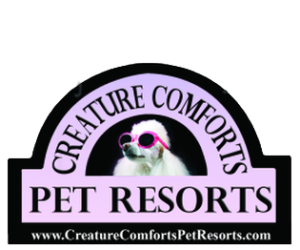 They help all sorts of animals—from coy to ferrets to dogs. But along the way, they’ve developed an “unintentional expertise” in taking care of felines. This leaves Tucson CARES—and Shuman—in a constant state of triage, because every day brings something new. In October 2018, for example, Tucson CARES took in two cats that were surrendered to PACC with urinary tract blockages—their owners loved them, but couldn’t afford the necessary surgery. PACC called Shuman, who took them in, paid for their surgery, and returned them to their owners. 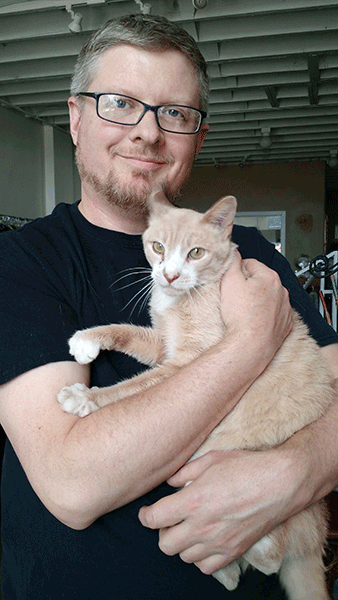 Alecs Sakta, founder of the organization Tucson Feral, has known Shuman for over a decade, and said Shuman’s knowledge of caring for community cats is unparalleled in Tucson. Shuman grew up in a family of animal lovers. She has been taking in kittens and rabbits from the roadside since she was a little girl. When she moved to Tucson in 1989, she quickly became familiar with the stray and feral cats in her neighborhood and doing some informal TNR. 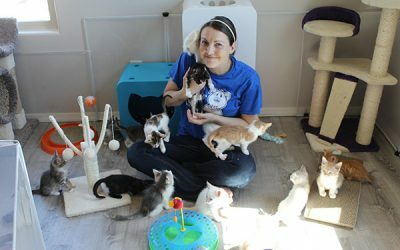 She started volunteering with an animal welfare organization in 2003, then began fostering animals with PACC, and decided to formalize her work through a nonprofit in 2008. She takes in cats with oral cancer, anemia, blindness, rattlesnake bites, ruptured eyes, stomatitis, hyperthyroidism, inflammatory bowel disease, hepatic lipidosis, feline leukemia, diabetes, you name it. The goal is to find them all homes, but she knows some of them have found a permanent home with her. At the time of this interview she shared her house with 2 dogs and 51 cats, most up for adoption. The organization it must require to keep such a full house so clean—there’s not a trace of a bad smell, even though the cats have free range of the house for the most part—is astonishing. Shuman doesn’t like to have closed doors or caged animals, but there is one room especially for cats on special diets due to bladder stones or urinary crystals, and another for cats who are particularly afraid of people or who have frequent herpes flare-ups. A few cats with feeding tubes are in large kennels to keep them safe. There are cats, cat food, cat beds and cat medical equipment all over the house. But homey touches are also abundant: There are also bookshelves, a collection of owl figurines, a stack of records, candles set on a table, art hanging on the walls. There happens to be a radio and a nightlight in every room for the cats, yes. But this harmony between human and animal is striking in how natural it feels—almost like taking care of the helpless is a part of what makes us human. or to donate to the organization, visit tucsoncares.org.